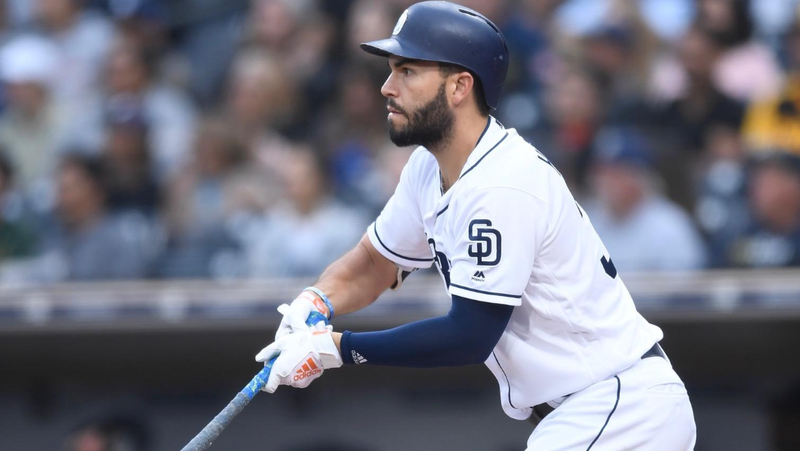 The Padres earned the four-game series victory over the Marlins with an 8-3 win on Thursday night. The win was their third in a row. 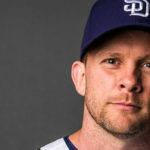 Andy Green stacked his lineup with righties against the Marlins lefty starter Wei-Yin Chen. 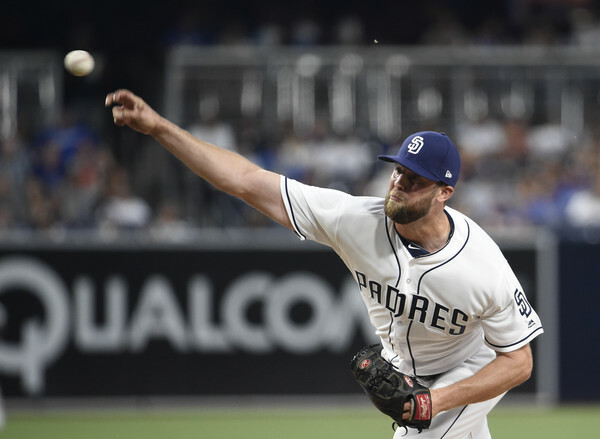 The Padres got off to a fast start when Jose Pirela led off the bottom of the 1st and fisted a letter-high fastball into left field. Eric Hosmer, the only left-handed bat in the lineup, worked a 3-2 count before looking at strike three. Christian Villanueva followed and blasted the first pitch he saw into the 2nd deck of the Western Metal Supply Co. building to give the Padres an early 2-0 lead. The inning ended with back to back strikeouts by Hunter Renfroe and Franmil Reyes. Jordan Lyles walked one in the 1st, but didn’t run into trouble until the top of the 2nd. Brian Anderson led off the inning with a line drive single to right field. Anderson advanced to second on a soft ground ball towards first base that was fielded by the pitcher Jordan Lyles and tossed to Eric Hosmer. J.T. Riddle then singled to left field. With only one out and Hunter Renfroe’s arm strength in mind, the Marlins 3rd base coach gave Anderson the stop sign at 3rd. With runners now on 2nd and 3rd and Lewis Brinson batting, Riddle moved up to second on a ball in the dirt that was ruled a wild pitch. Brinson struck out on a curveball that was blocked by A.J. Ellis. 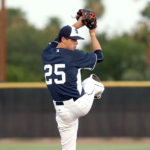 The pitcher, Wei-Yin Chen, singled on a chopper up the middle that scored both Anderson and Riddle to tie the game 2-2. Lyles bounced back well, striking out J.T. Realmuto to end the game. 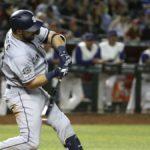 The Padres answered back when they loaded the bases in their half of the 2nd. Freddy Galvis struck out to begin the inning. A.J Ellis singled on a line drive to left field and then Manuel Margot lined out to center. Jordan Lyles was able to get some revenge on Wei-Yin Chen when he walked with two outs. Pirela worked a 3-2 count and then walked on a pitch below the zone. Chen allowed a 2-run single to center by Eric Hosmer to give the Padres a 4-2 lead. That would be the end of Chen’s night as he was relieved by former Padre Odrisamer Despaigne. Despaigne got Villanueva to bounce out to 3rd to end the inning. The score remained the same until the bottom of the 5th. Eric Hosmer walked to begin the inning and advanced to 2nd when Christian Villanueva singled to left. 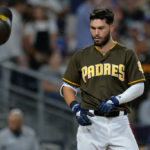 Hunter Renfroe doubled on a line drive down the left field line that scored Hosmer and gave the Padres a 5-2 advantage. Franmil Reyes struck out swinging on a ball in the dirt. Freddy Galvis was walked intentionally to load the bases. A.J. Ellis chopped a ball up the middle that should have been a routine double play but shortstop J.T. Riddle had trouble getting the ball out of his glove. Once he was able to get a handle on it he tried to underhand it to Starlin Castro covering second base. Castro shied away from the ball as it hit him in the back. Villanueva scored to push the score to 6-2 and everyone was safe. Manuel Margot grounded out on a high chopper back to the pitcher. All runners advanced on the play and Renfroe scored from third to up the score to 7-2. Lyles grounded out to end the inning. Jordan Lyles went seven innings while only giving up two runs. He gave up six hits while walking one and striking out seven. Kirby Yates took over for in the top of the 8th inning. He gave up a home run on the second pitch he threw to Derek Dietrich. That brought the score to 7-3. Yates struck out the next two batters and then gave up a single to Starlin Castro. The inning ended on a groundball to Villanueva at third. Jose Pirela led off the bottom of the 8th with a hustle double to left. Eric Hosmer chopped a ball up the middle that deflected off right-handed reliever Nick Wittgren’s pitching hand. As it trickled past the shortstop into left-center field, Pirela scored from 2nd to extend the lead back to five. Travis Jankowski entered the game as a defensive replacement for Franmil Reyes in the top of the 7th and grounded into a force out at 2nd. Freddy Galvis ended the inning on a fly out to left field. Phil Hughes made his Padres debut in the top of the 9th. 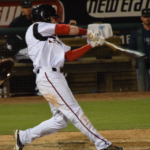 He induced a groundout to short from Miguel Rojas before allowing a single to center by JT Riddle. Hughes came back to strike out Lewis Brinson on three pitches. Riddle advanced to 2nd on pinch-hitter Yadiel Rivera’s single up the middle. Both runners advanced on a passed ball before Derek Dietrich walked to load the bases. Brad Hand relieved Hughes with two outs in the inning. Hand earned the one-out save, his 17th on the season, by striking out JT Realmuto on three pitches. 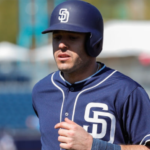 The top four batters in the Padres lineup (Pirela, Hosmer, Villanueva, Renfroe) combined to go 9-for-16 with four walks and six runs scored. Franmil Reyes finished 0-for-4 with three K’s. 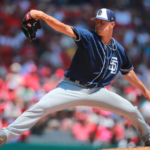 The Padres begin a three-game series on Friday when the Cincinnati Reds come to Petco Park. The game begins at 7:10 p.m. PDT. I've been a Padres fan for most of my life. I am currently a Baseball Video Scout Associate at Sports Info Solutions. I graduated with a Bachelor of Science in Business Administration from Colorado State University in December of 2016. My grandfather, Ed Kirkpatrick, played Major League Baseball in the 60's and 70's. He played for several teams including the Angels, Royals, Brewers, Pirates, and Rangers.